Reflections on life, womanhood, parenting, travel .. I think this is a good idea! 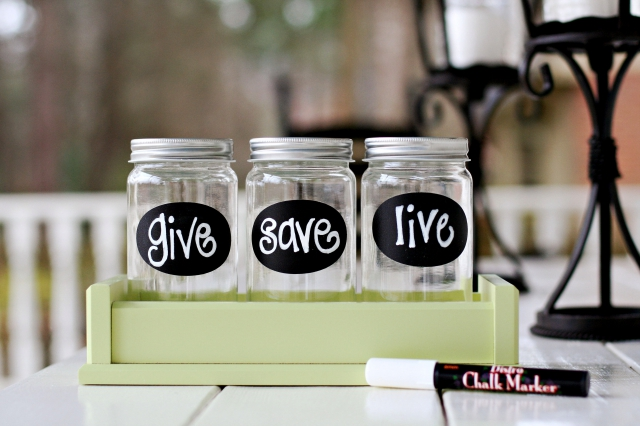 To come up with 3 cute jars, have these jars labeled same like what was shown on the photo and encourage your kids to fill each jar from their school allowances or now that Christmas is fast approaching, maybe from their "aginaldo" from their Ninongs and Ninangs. Teaching our kids how to value and handle money is the greatest gift that we could offer them. This good trait, when developed will put them to a great advantage when they grow up. Children should also realize that money is not just only for spending on whatever they like. They should also be taught on how to share their blessings to less fortunate people and used it as an offering when attending holy mass. I guess the best way of encouraging our kids to learn how to handle money well is through leadership by example. We should show our kids the benefits that we got out of proper spending and saving. Encourage your kids to do simple chores at home and give them monetary rewards that they can use and budget according to how you taught them. Give them a sense of responsibility and a bit of independence. I bet this will be a very good training for them that they can continue to practice in the coming years. I think January next year would be a very good start. :) What do you think? You gotta start 'em young. I grew up in home where my parents are frugal with money. They know the importance of saving for the rainy days. Saving just got more interesting. Thanks for posting that 3-jar picture. My husband and I have agreed to teach my kids the value of saving and this will surely make her do it. A Filipina, a hands on mom who still manages to keep in touch with people who matters most to her life, amidst the distance. Would You Go For Cosmetic Surgery?